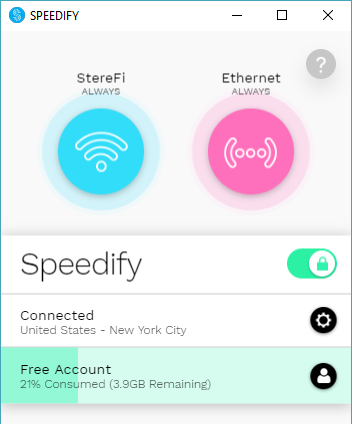 With Speedify, it’s easy to combine your wired Ethernet connection with the connection from your tethered iPhone on your PC. This allows your Windows computer to use the cellular connection from your iPhone as an additional Internet source. In this article, we are going to walk you through how to do it. Step 1: Connect your Ethernet cable to your PC and plug the other end into your modem or router. In most cases, you will connect to the Internet automatically. If it doesn’t work, see some troubleshooting options here. Step 2: Tether your iPhone to your PC via Wi-Fi (most convenient), USB cable or Bluetooth. As Wi-Fi tethering is most convenient as it requires no cables and no dedicated software on your PC, we'll describe that procedure below. See more articles how to tether your iPhone to your PC using the USB cable or Bluetooth in our knowledge base. First, create a Wi-Fi hotspot on your iPhone (Wi-Fi tethering). To do this, go to Settings on your iPhone's home screen and activate the Personal Hotspot option. Next, configure the Wi-Fi hotspot on your iPhone. 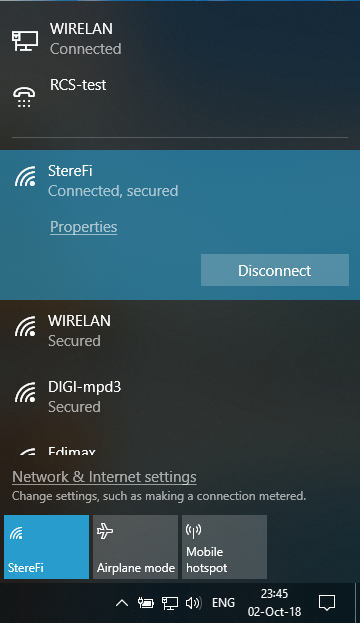 When you go into the Personal Hotspot menu, you can also customize the Wi-Fi hotspot name (SSID) and password used by other devices to connect. Last, but not least, connect your PC to the Wi-Fi network. Click on the computer or Wi-Fi symbol in the lower right corner of the taskbar (systray). 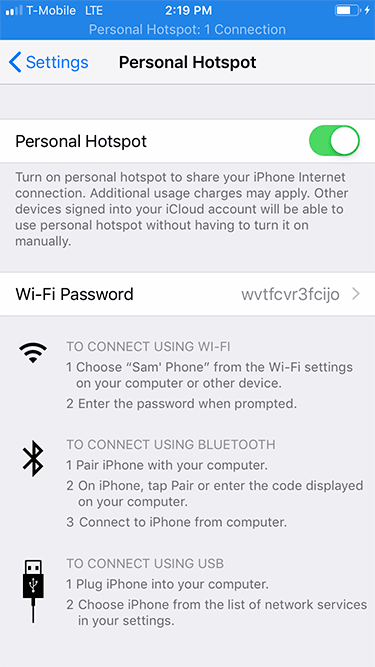 Turn on Wi-Fi by clicking on the tile in the lower side of the pop-up menu and select the Wi-Fi hotspot you set up on your iPhone. Enter your password and you’re good to go. Step 3: Start Speedify on your PC and combine the wired Ethernet and tethered iPhone on your PC. When you launch Speedify, the software automatically detects the two connections. You will see them each contained in a Connection Bubble near the top of the Dashboard.